Check out this list of simple steps to ensure you get the perfect pop up! 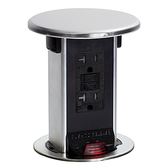 Pop Up Outlets has a variety of pop ups and receptacles for your kitchen, patio, and the rest of your home. Ever notice there’s never a free outlet right where you want it? 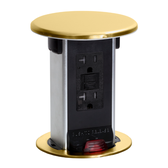 Our countertop outlets are safe, spill proof rated power sources that blend in while they providing convenience and safety. They sit flush with your counter and pop up when you need them for charging your phone or powering an appliance.